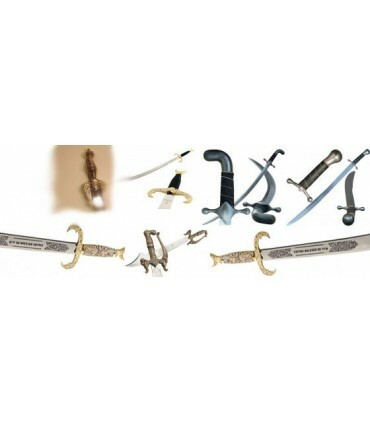 Swords There are 770 products. 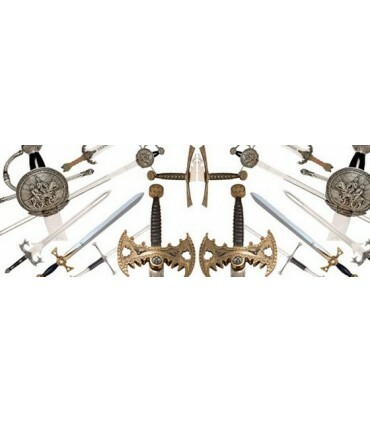 Swords used by film and fantasy characters created for series, movies, comics. They usually have spectacular design lines. 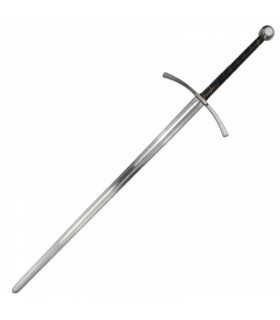 The saber is a curved and single-edged sword. 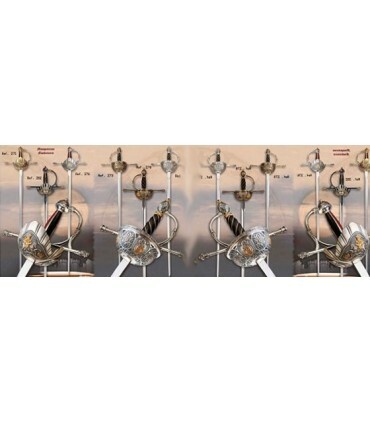 Its use was massive in the cavalry and infantry officers in the nineteenth and twentieth centuries. 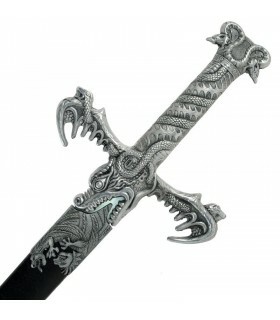 This curved leaf character makes the difference with the sword. 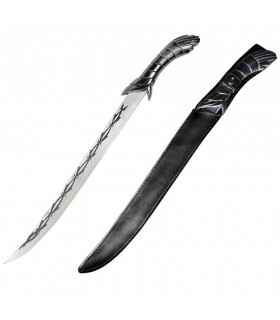 This Stab arises from the need for speed in combat. 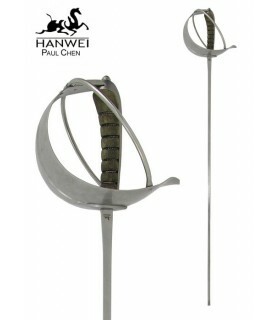 This is achieved by cutting and not let the blade weapon embedded in the body of the opponent. 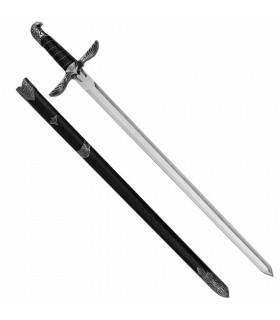 We have the best swords for weddings, communions and baptisms made in Toledo, Spain, with the possibility of adding personalized texts. 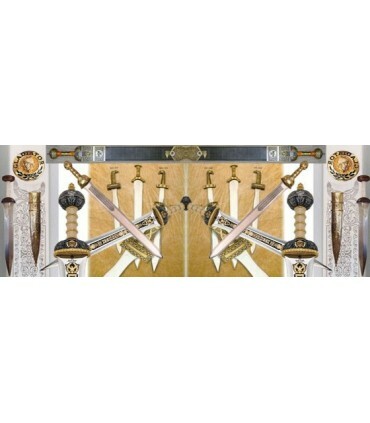 Swords for events, Masonic ceremonies, Templar ceremonies and other solemn rites. 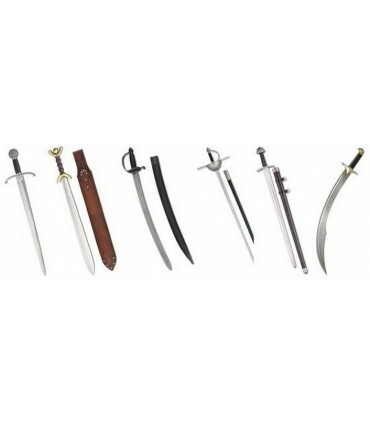 Within the functional swords made of carbon steel sheets are classified into 3 groups: Category A, Category B and Category C. For differences can view the details of the Functional classification swords. 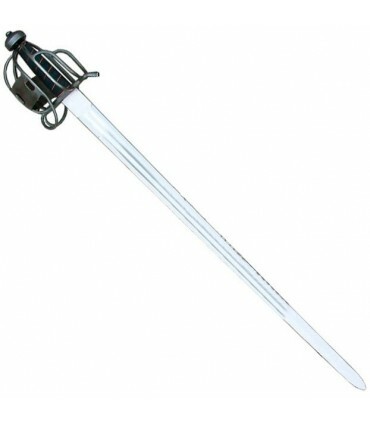 Roman Swords gladius type, used by the legions. 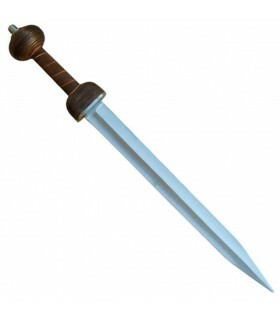 The Roman gladius were adapted from the short swords used by celtic mercenaries (hispaniensis gladius) in the service of Hannibal, during the Punic Wars. 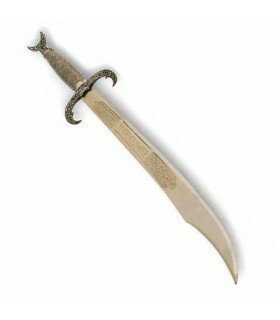 The Roman Sword or Gladius was the primary sword of Ancient Roman foot soldiers and one of the most widely recognized swords of any culture. 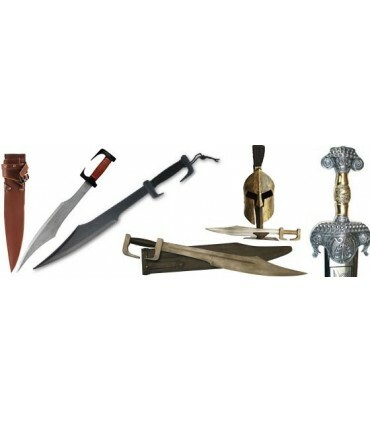 Greek, Trojan, Spartan Swords and kopis. 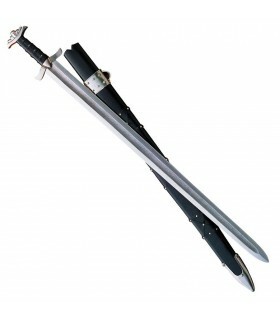 This categoty includes some of the mos popular swords used by real characters in history. 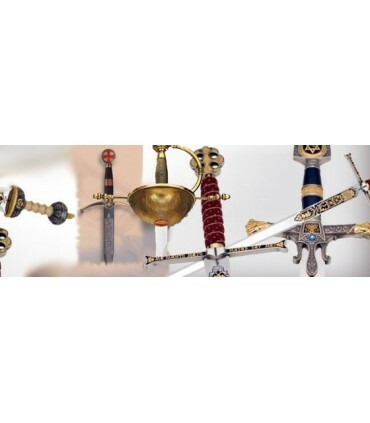 Some of them are battle-ready and other decorative, but all seek to capture the details that characterize the original swords. 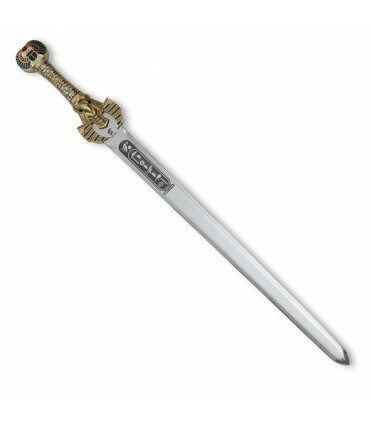 The sword represents justice and sovereignty of the lineage, but also the courage and power. 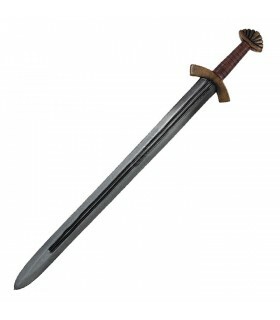 Celtic swords of the iron age. 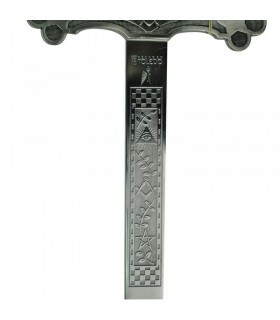 The main Celtic peoples were the Celtiberians, the Gauls, the Helvetius and the Britons or Bretons. 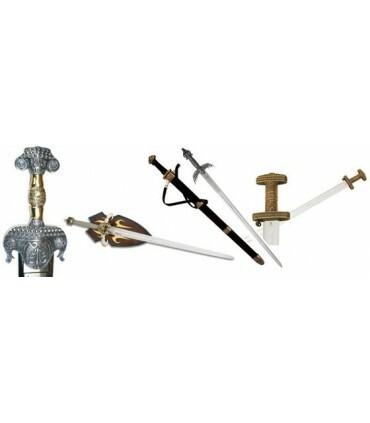 Swords used by Nordic peoples, barbarians and Vikings. The Vikings were Germanic peoples of Scandinavia known for their usual raids and pillages in Europe. 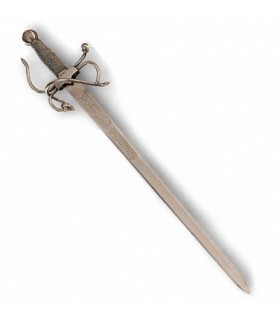 The term rapier emerged during the Renaissance in Spain as a dress sword and became very popular as a civilian weapon for self defence and duelling amongst the wealthier classes. 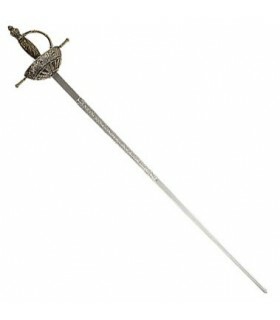 Rapiers are long, thin, single-handed swords designed for thrusting more than cutting. 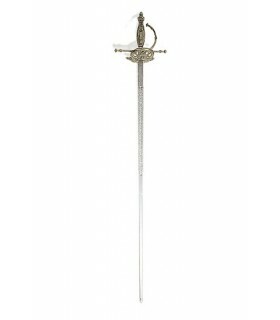 The term rapier emerged during the Renaissance in Spain as a dress sword and became very popular as a civilian weapon for self defence and duelling amongst the wealthier classes. 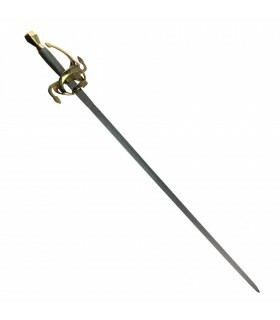 Rapiers are long, thin, single-handed swords designed for thrusting more than cutting. 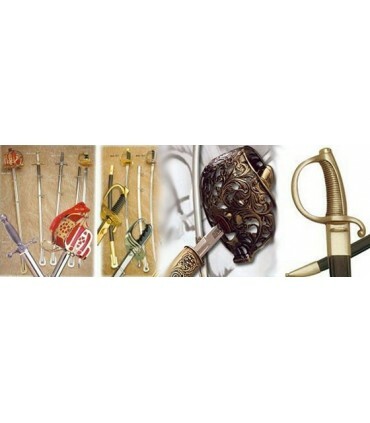 The hilts on rapiers existed in a great variety of styles and various kinds of bars, rings, plates, or cups. 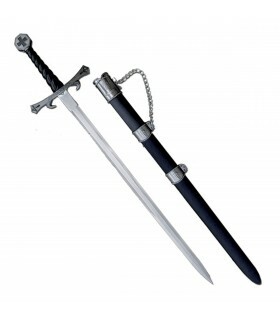 Two-handed Scottish swords of the Claymore and William Wallace type. 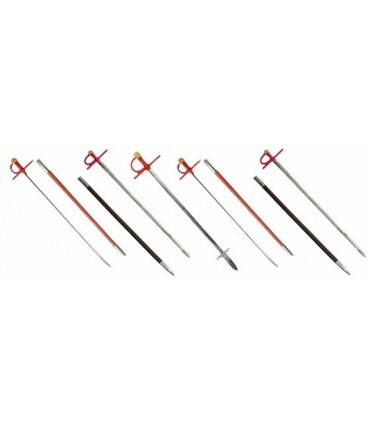 Swords for bullfighters. 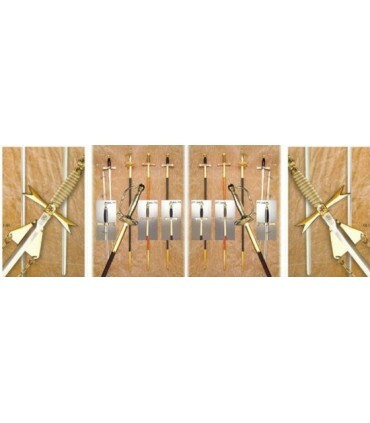 Estoques, swords for descabello, tiptoes and professional bullfighters. 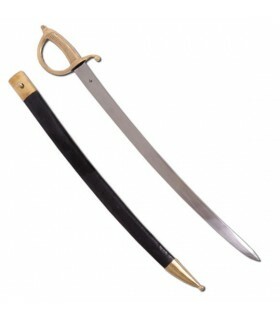 Friedrich Espada children, 54.5 cms. 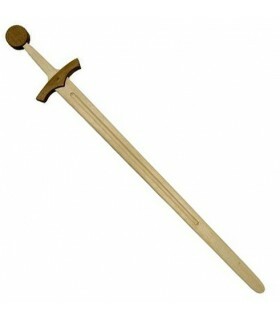 Stylish massive wooden sword for children with Friedrich smoothed wrapped wooden handle gives stability fist. CAUTION! Not suitable for children under 3 years because of the danger of small-piece choke. Use only under adult supervision. 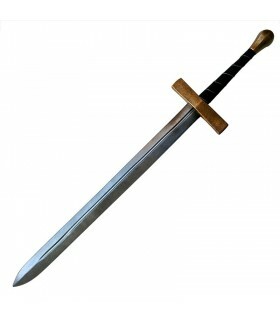 Viking wooden sword for practice, natural size.NOTICE.-Due to the type of wood with which it is made, no guarantee that the piece is perfectly straight. 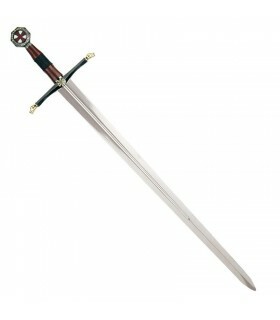 Broadsword Gothic 2 hands, 155 cms. 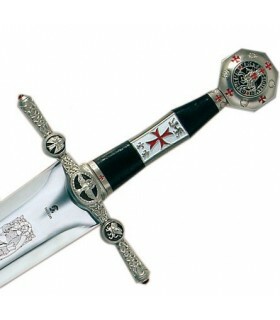 Gothic Sword 2 hands grip. 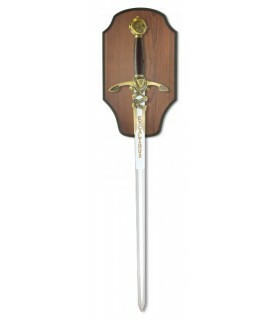 Leaf fully functional high carbon steel and reaching impressive dimensions 155 cms. 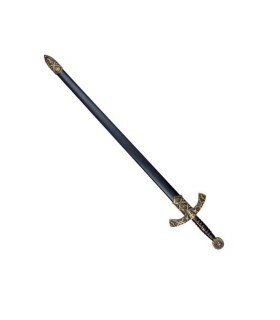 longand a weight of 3.1 Kg. 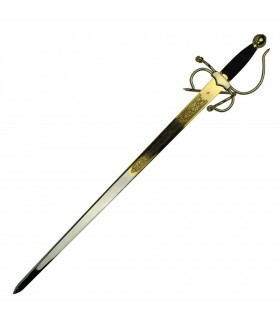 It is made by the famous Czech Jiri Krondak gunsmith. 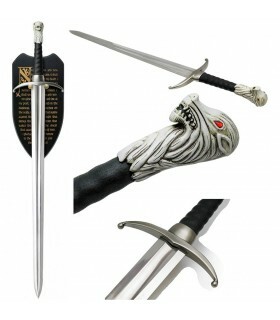 Norman sword latex, 110 cms. 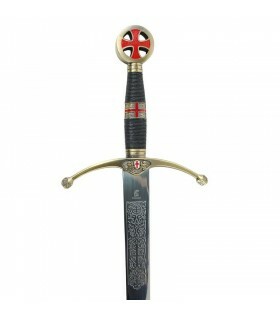 Norman Sword functional. Made of durable premium quality latex. Grip covered in leather. 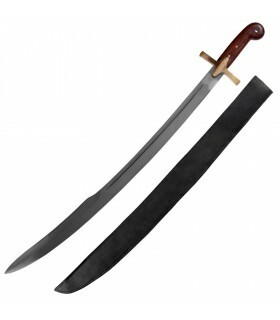 Long sword: 110 cm. 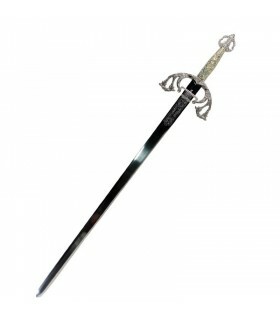 Masonic ceremonial sword with stainless steel blade and handle engraved in black lace. 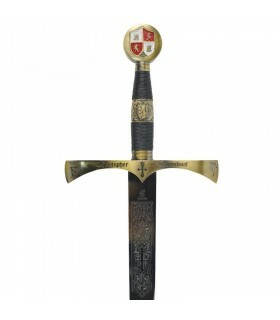 Made by José Luis Rubio swordsmither entirely in Toledo (Spain). 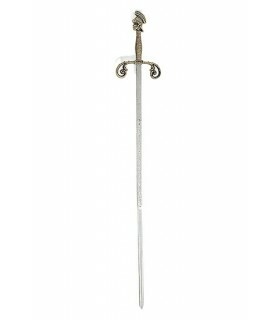 French Infantry Briquet saber. 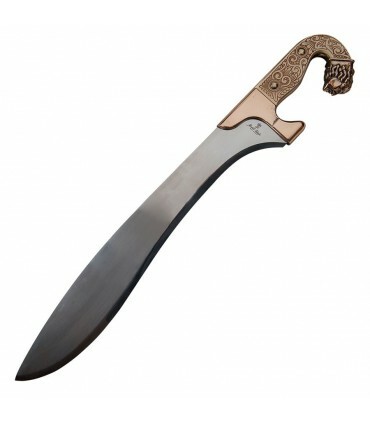 Made of carbon steel sheet and brassed handle. 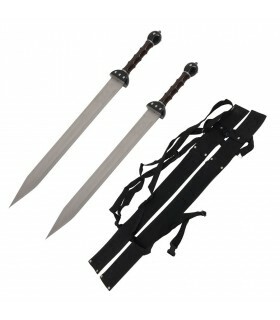 It includes sheath with leather trim and brass fittings to match the saber. 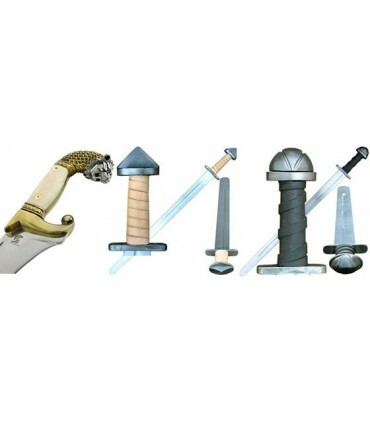 Functional medieval sword hand. Handmade EN45 steel with a hardness of HRC 48-50º. Corrugated sheet with rounded edges and blunt. 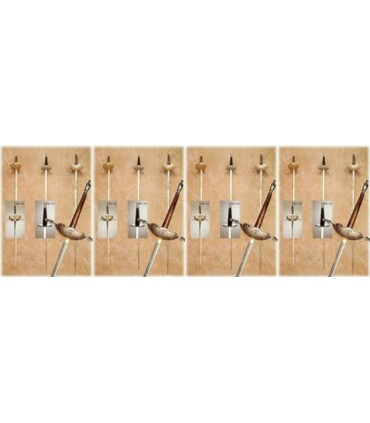 With handle disk and manufactured in Germany by Ulfberth®. 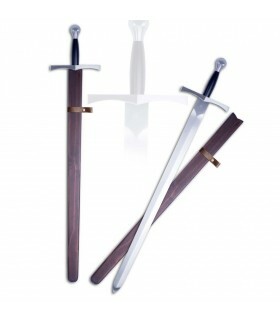 Wood grip covered in leather and reinforced at its ends by two steel rings. 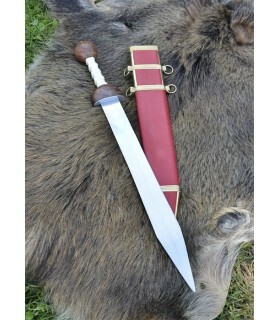 It includes matching leather sheath. 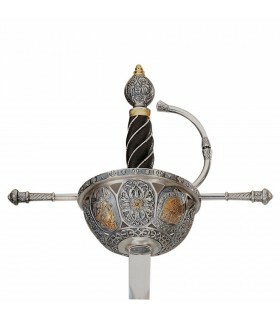 Decorative sword Rapier based on those used in the seventeenth century. 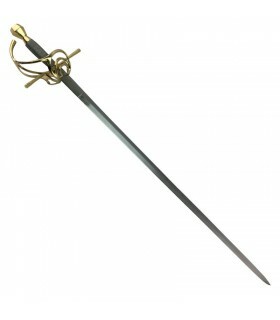 Made with carbon steel blade with brass handle and coated thread. 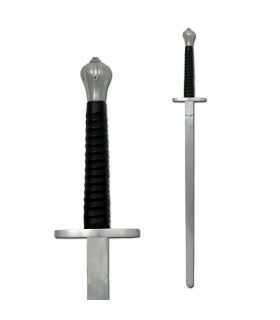 Replica of a Roman legionary Gladius Sword. 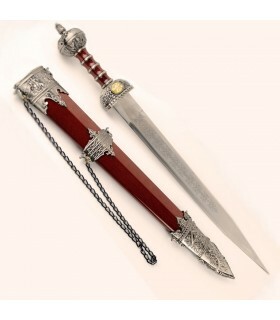 Blade made of carbon steel, handle animal bone. 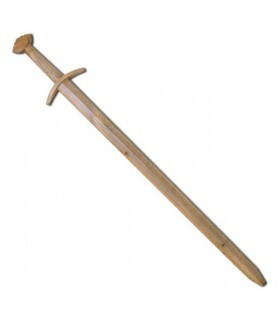 The handle and guard are made of wood. 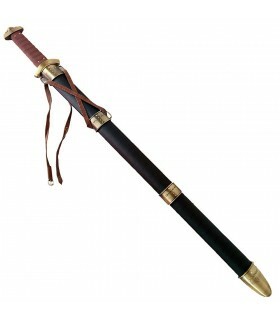 It includes wooden sheath covered in leather with brass metal finishes. 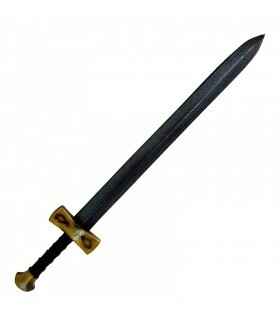 Viking sword with corrugated sheet, forged in high carbon steel shank riveted to the pommel. 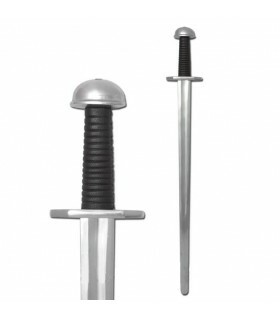 Guard and pommel are steel. 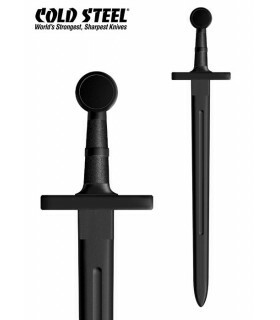 Ideal for beginners who want to practice without hitting the blade. 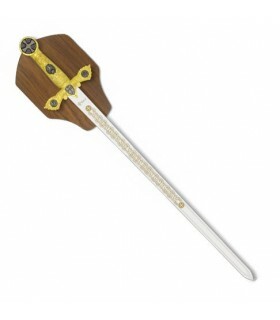 ideal for practice (non-contact) with blunt Viking sword. 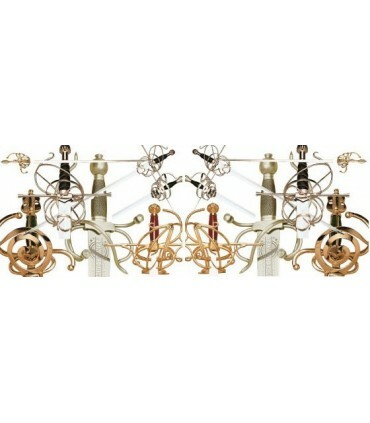 The design is based on the IX-X century. 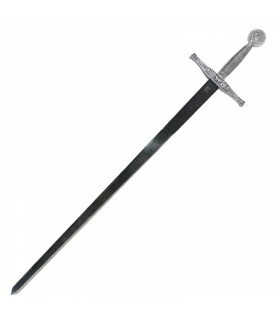 Made of sheet carbon steel forged in one piece with full tang riveted to the pommel. 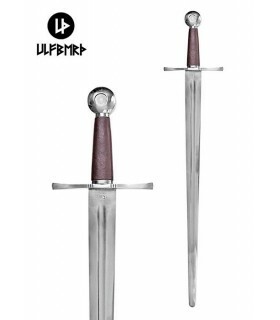 Viking sword fights forged Damascus steel with 512 layers of high carbon content. 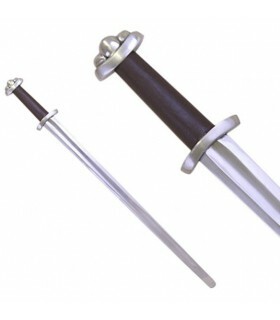 Pommel and guard steel. 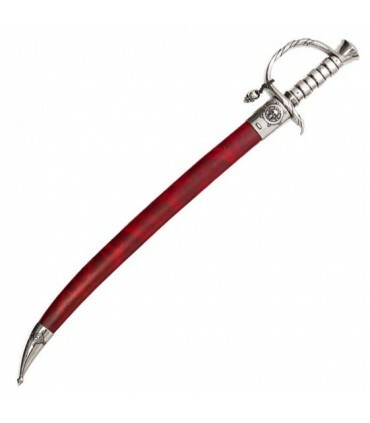 Leather-wrapped hilt. 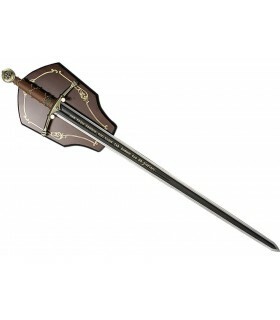 It includes wooden sheath covered in leather with metallic finishes.